The sewage treatment works at Beckton, on the River Thames, is the largest in the UK and as such has to treat a vast volume of waste water. Part of the treatment process involves a sludge thickener tank which uses a rotating structure, known as a picket fence. When the bearing which supported the picket fence failed, Thames Water required some expert assistance from Revolvo to ensure the replacement bearing would deliver the required performance. The picket fence thickener consists of a tank with a central column, to which is fixed a steel structure contai ning vertical bars and scrapers for the tank floor. The whole structure rotates slowly inside the tank, powered by a motor and gearbox, with the weight of the picket fence supported by the slewing ring. This is a specialised type of bearing which incorporates gear teeth on the outer edge of the bearing which are engaged by a drive gear. Waste water is constantly fed into the thickener tanks which allow the solids to settle to the bottom, where they are pumped to the next process and the clarified liquid is decanted to a secondary treatment process. In this particular case the thickener tanks are covered to reduce odour pollution, so the level of wastewater in each tank is determined by the limit switches as any manual, visual check of these levels is very difficult. The level switches are used to start and stop the pumps which supply the thickener tanks with wastewater for processing, unfortunately in this case they had been disconnected and the liquid level in the tank had risen to a point where it had submerged the slewing ring. Continued operation in this environment proved to be very detrimental to the bearing. The first sign of a problem was the noise from the rapidly failing bearing. 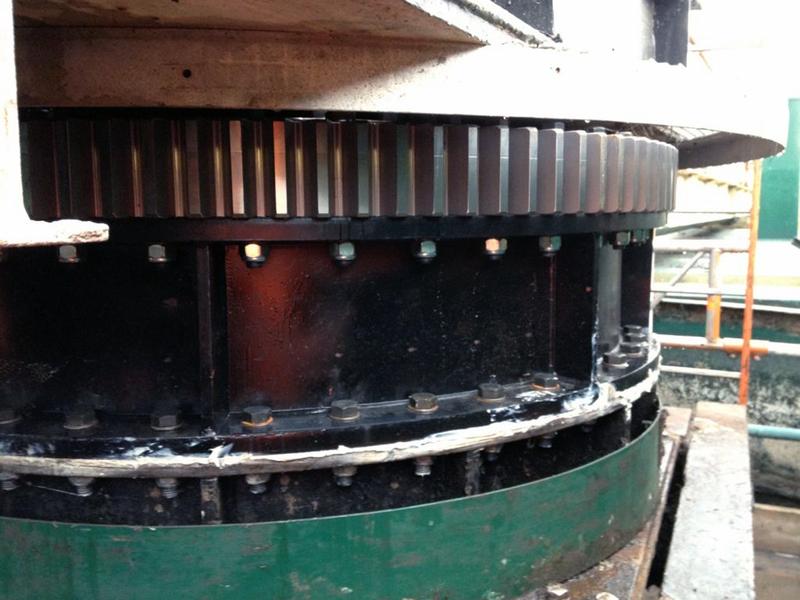 On-site engineers soon established the nature of the problem and determined that a new slewing ring would be required, along with some additional engineering to raise the position of the bearing to prevent a similar failure in the future. 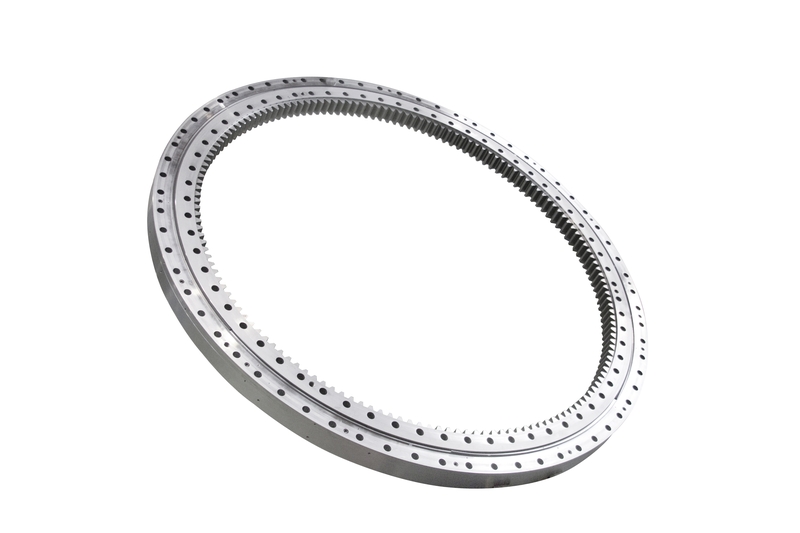 This type of bearing is not a stock item and required the expert attention of Revolvo to design and manufacture a bespoke replacement. 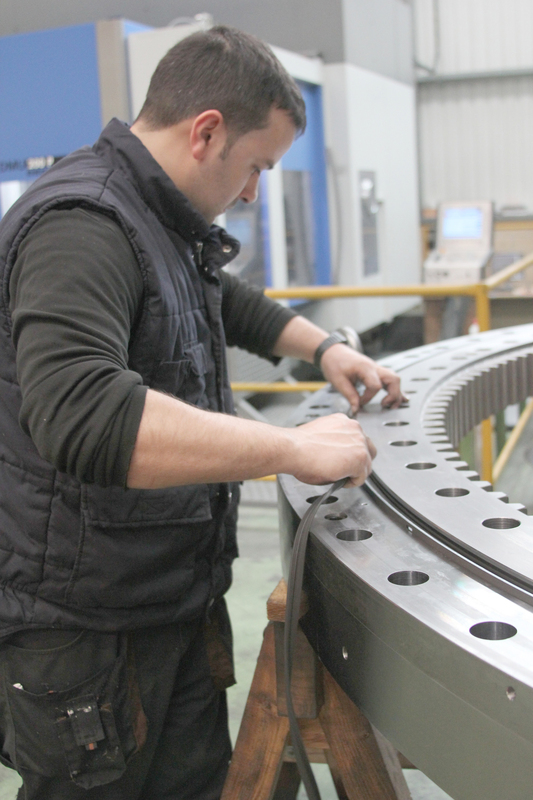 The design called for a cross roller slewing ring, over 1800mm in diameter, with gear teeth on the outer diameter to engage with the drive gear. Under normal circumstances such an assembly would require 20 weeks to complete, but the urgency in this case required that the job was completed in just 10 weeks. At the same time as the slewing ring was being manufactured, the site engineers worked on installing a steel plinth which would raise the bearing above the maximum level of liquid. 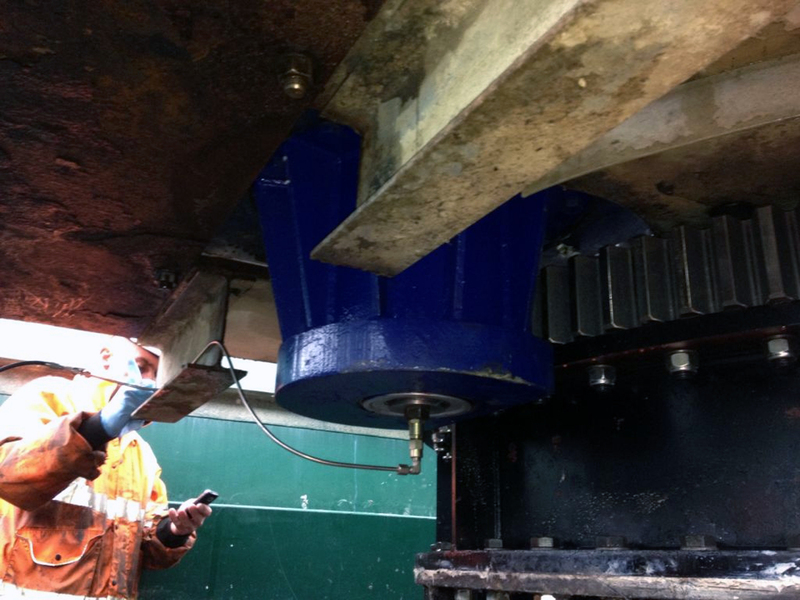 The engineers also designed and installed a new drive system and a remote lubrication arrangement that would ensure reliable operation of the cross roller bearing without the need for regular servicing by the site maintenance team. Once installed, the picket fence thickener was returned to normal service. Revolvo, the world's leading manufacturer of specialist bearings, designs and manufactures bespoke high performance bearings for demanding and safety critical applications, combining its expertise for both Revolvo branded ball and roller bearings, and SRB split roller bearings. With our range of STANDARD to CUSTOM designed products, we offer extensive experience, flexibility and the technology to meet the most demanding industry needs.